We pride ourselves in helping patients achieve the best, most natural-looking tummy tuck results possible. Read our reviews and browse through our before and after gallery to find out why we are the top plastic surgery practice for tummy tucks in Boston, MA. 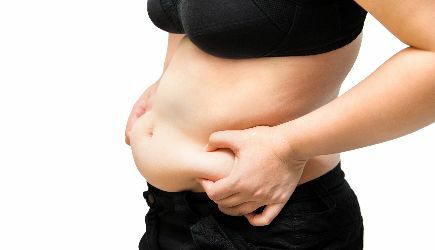 Most people dream of having a flatter midsection, but it can be difficult to make this dream come true if you have loose, saggy skin or stretch marks that cannot be fixed with diet or exercise. Fortunately, a tummy tuck procedure can solve these problems and help you achieve the flatter abdomen you have always dreamed of having. Contact Wellesley Cosmetic Surgery today to learn whether a tummy tuck, or abdominoplasty, is the right choice for you. The plastic surgeon will begin by making incisions around your belly button and along the pubic area. The skin will then be undermined, and special hi-tech sutures will be used to tighten the abdominal muscles to give your stomach a flatter appearance. Next, the surgeon will remove excess fat if needed. Then, excess skin is measured and removed. The final steps of the procedure involve repositioning the navel and closing the incisions with stitches. A scar reducing dressing is applied at the very end. Where Are Tummy Tuck Scars? If you are undergoing a full tummy tuck, the surgeon will make the incision from one hipbone to the other. These scars will not be visible when you are wearing a bikini. The surgeon will need to make an additional incision around the belly button. If you are undergoing a mini tummy tuck, the incision will be made more towards your pubic area, and no incision around the navel will be needed. Who Is An Ideal Candidate For A Tummy Tuck Procedure? Broadly speaking, people with loose, stretched out and “overhanging” skin are good candidates for a tummy tuck. The skin can stretch and hang for many reasons. The two most common causes are pregnancy and significant weight loss. What Is The Recovery Time For Tummy Tucks? Recovery times may vary, but most patients will recover within about two weeks of surgery. Patients tend to experience the most discomfort in the first five days to a week following the procedure. During this time, it’s best to have someone at home with you who can help you get around. Patients are encouraged to walk around in the days following the procedure to prevent blood clots and reduce swelling. You should expect to miss ten days to two weeks of work during your recovery. You should not return to work or resume any of your normal activities without first consulting with your plastic surgeon, who will be carefully monitoring your progress. Patients can ensure a smooth recovery by following all of the doctor’s advice. Patients often ask, “What does a tummy tuck cost?” The average cost of this procedure will vary depending on a number of factors, including the plastic surgeon’s experience and the technique used. Prices should be addressed during your initial consultation with your plastic surgeon. There is some level of risk involved with every type of surgical procedure, including tummy tucks. Some of the potential complications that may arise include scarring, changes in sensation and infections. If you want to minimize these risks, it’s imperative that you only work with a board-certified plastic surgeon that has experience performing tummy tucks. Tummy tuck results are typically permanent, however, there are some cases in which the results may not last. Patients who gain a very significant amount of weight may need revisional surgery. To avoid this frustration, it’s in your best interests to maintain a healthy lifestyle after having a tummy tuck. To determine if you are a good candidate for a tummy tuck procedure, get in touch with experienced plastic surgeon Dr. Arthur Shektman today. Dr. Shektman regularly performs breast augmentation, breast reduction, breast lift, liposuction, facelift, eyelid surgery (blepharoplasty), rhinoplasty, and body contouring procedures. Dr. Shektman can also administer injections, including Botox, Radiesse and other dermal fillers. Everyone on our staff has one goal in mind: to help each patient look and feel his or her absolute best! We strive to create natural looking results for our clients. Our office currently serves patients in Wellesley, Boston, and throughout the state of Massachusetts. Please call (617) 237-6061 or (781)-239-0680 to talk to a member of our team and schedule an appointment. During this consultation, we will answer all of your questions about the procedure. New patients, don’t forget to review the gallery of before and after pictures on our website to see some of our best work.